Love at first sight! As you approach this lovely home, you will be drawn in by it's curb appeal, inviting front porch, lush landscaping, and BRAND NEW ROOF (March 2017). 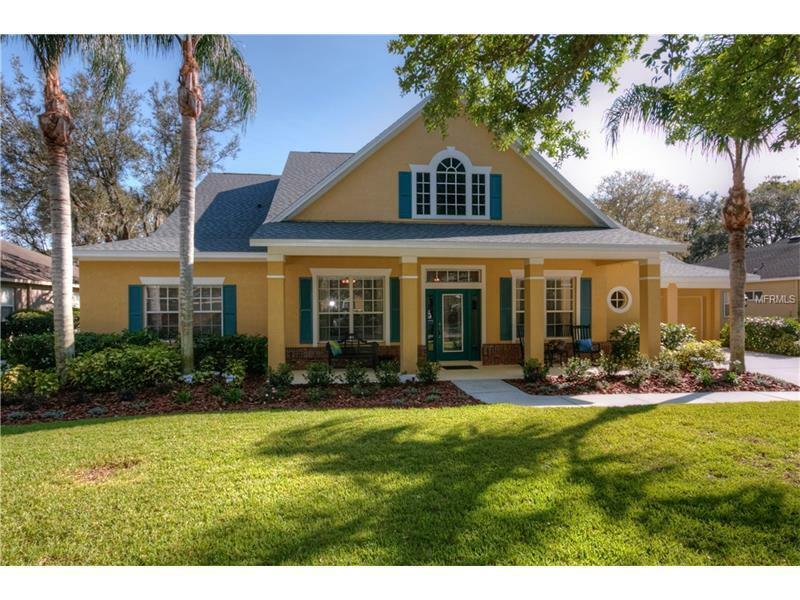 Located in the gated Eagle Ridge Village of Fish Hawk Ranch with top rated schools and fabulous amenities. Filled with natural lighting, this home features a three way split plan with 4 beds, 3 baths, game room and office. The formal dining room and office with double doors are located at the front of the home. The spacious kitchen is the focal point of the home and features 42' wood cabinets, large center island, KitchenAid built in convection wall and microwave ovens, Bosch dishwasher, and brand new Kitchen Aid five burner gas cooktop with charming brick surround, breakfast bar and large pantry. The family room with gas fireplace and eat in area overlook the sparkling pool and tranquil pond view. The large master suite also overlooks the pond and features a super sized closet that is sure to impress, vanity with dual sinks, garden tub and separate shower. Two of the secondary bedrooms have their own private wing and can be closed off via french door. Bedrooms are located on both sides with a game room/bonus room in between and a shared full bath. The 4th bedroom is located in the back of the home with adjacent bath that also serves as pool bath, perfect as a guest suite. New Trane A/C in 2016, new gas water heater in 2016, new pool pump 2013, tile and bamboo flooring thru-out and fresh paint. Come see it today!